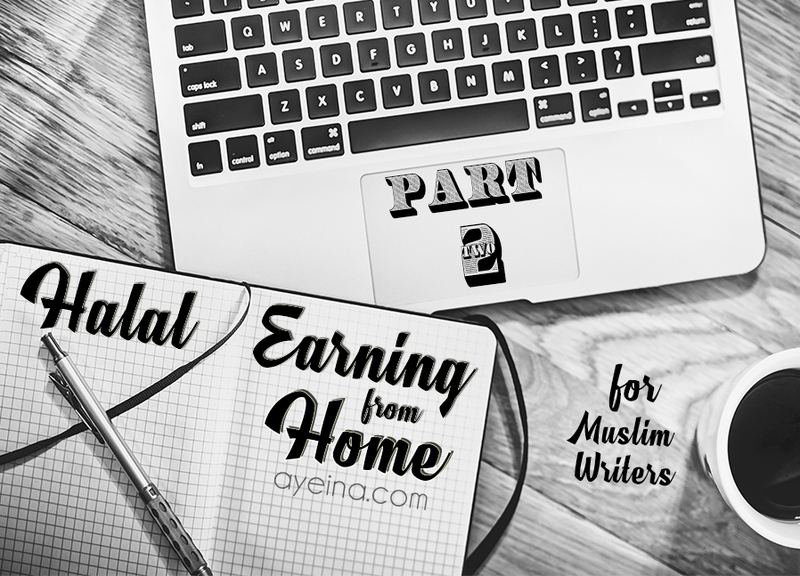 As a writer and a Muslim, you can contribute to any magazine or website that pays of course, as long as the topic is of your interest. Be it motherhood, entrepreneurship, DIY, technology or arts and crafts. There are tons of venues for that and we will talk about that in the end in shaa Allah. BUT if you’re passionate about writing on the topic of Islam or Muslims, then following is the list of paying markets in a descending order (based on their rates). Most websites or magazines do not like to explicitly mention their rates as they may vary from time to time or author to author. So this order is to simply help you save your time if you’re looking for a higher-end market or a lower one. And even though you’ll find a detailed list HERE, we are only mentioning the websites/magazines we’ve had a personal experience with. You will find an overwhelming amount of lists around the internet if you search for paying markets, but try contacting them all and you will probably get an answer only from a handful. And sometimes, never! Sadly, it is VERY common in freelance/literary world. A good idea is to send a follow-up email to show your interest in writing for a specific website/magazine after your initial email, but if they don’t contact you back within a 3-month time period (which may feel like 3 decades for a writer), then definitely move forward. Following are the paying opportunities that will cater to your queries professionally and would probably reply back within a month (at most). We’ve had great experiences with them, but yet we don’t endorse any of these publications/websites because an experience can differ from person to person. Let’s start with location-specific publications to the ones with the worldwide payment option. Most of the high-end publications prefer to pay you through a bank and they only prefer transferring the funds locally. Especially with Islamic websites, they are careful in this current terrorist situation. Nonetheless, the payment ranges from $100 to $10 in this category. They don’t pay for unsolicited submissions – Only for assigned reporting. They do pay but contributions have to be anchored in the Canadian Muslim experience and should be based in Canada as well. Also, they need to pitch the story to them before writing it and show them an example of their previous work. Payment is something they negotiate per piece. As a newspaper, Arizona Muslim Voice focuses heavily on covering news items (local event coverage (Arizona, USA) but they do look for lifestyle/feature pieces as well. As their audience is not entirely Muslim (including their writers), so they don’t print religious content that suggests any particular religious authority. Depending on the length and depth of certain stories, pay may differ. They also provide some training if you’re selected after submitting your résumé and cover letter. They have a writers list and they only solicit the list when they are ready to assign the articles. They do not accept unsolicited articles but ideas can be pitched to them, which they may or may not accept. A writer should be based in Japan to receive the payment. If the draft is written in several languages, they pay bonus for each of the additional languages. The writer is expected to write articles about something related to ‘Halal’ or ‘Muslim’ in Japan. The draft should be written in English or English and any of the following languages: • English • 日本語 • Bahasa Indonesia • Bahasa Melayu • Arabic. When my article was published, they paid through the bank, so had to put them in a location-specific category. Although if you buy it, they can ship the magazine worldwide I believe. If your article is accepted as a cover story of the magazine, then the payment is higher than the other accepted articles. They also send a complimentary copy to you and are really nice to work with. Alhamdulillah. They offer a fee (or a complimentary copy of the magazine) for the writers, whose articles appear in the printed issue of Hiba Magazine. There’s no compensation for the articles appearing on Hiba blog (their website). They have both print and online presence, so depending on the type of piece you submit, an article accepted for an online publication will be compensated lower than the print one. Investigative and long form pieces will be paid higher than the usual. For the print edition, they pay writer depending on the number of published words. The outlines of the proposed articles need to be approved by them before being written. As the name reveals, it’s all about Science and Islam/Muslims. Your write-up should contain both of these things. Their pay ranges from $40-$100 (as explicitly mentioned on their website – Writing Guidelines). Compensation for journalistic feature articles is higher than the reflection pieces. They offer payment depending on length and style of poetry. They also accept other forms of art. Bismillah Babies is an amazing organization that works to cultivate a love for Islam in children’s hearts. They offer payment worldwide through PayPal. Each writer undergoes a ‘vetting’ process and background check to ensure their work is up to the mark. The ones who qualify are paid for their contributions. This is where I got my writing start. So they hold a dear place in my heart. And not to mention that the editor is really friendly. They offer payment through PayPal. Please note that paid submissions don’t offer link backs. You are allowed links to your website etc. in voluntary submissions only. The posts are usually for growth and exposure, however, when the MTG does pay depending on quality. For articles that are more researched and take longer, MTG does offer bigger payments (but that is individual). Please note that the posts that you are paid for, does not allow linkbacks. Elena (founder of MTG) said: “I also look more into working with certain freelancers for longer giving them a more sustainable income and work”. To get an idea of what kind of posts they accept, take a look at THIS piece .Their payment is not a lot, but they do allow linkbacks. They are currently looking for writers/bloggers who can write 3 to 5 articles per month (1 to 2 articles weekly) within the word limits of 500 words. You can fill the linked form to reach out to them. Whatever we earn through AYEINA or its products, it goes back into AYEINA and it’s products. Rather most of the investment goes straight from our pocket. And it has hardly been over a year since AYEINA was born. So we won’t be able to pay that much (of course). But this is just to encourage more paying opportunities for Islamic writers. Most of the Islamic websites (even the big ones) don’t pay and it’s totally understandable why they can’t. They are already investing a lot of money, time and effort into it and don’t get any worldly benefit from it most of the time. They have to pay for the regular staff etc. And paying freelance/guest writers is hard then. They usually pay you in terms of exposure (which, at times, is not something a writer is looking for). And those who pay, don’t allow link-backs (which means you can’t earn money and exposure along with the reward from Allah – all in the same place). BUT in shaa Allah you’ll be able to earn through AYEINA and be allowed linkbacks to your site as well (if you happen to have one). AND if your post goes viral within a month, we will pay you extra! 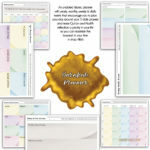 Although if our team adds in free printables etc. in your post for more exposure, it won’t pass for bonus payment. Please read our “Submission Guidelines“. We still welcome voluntary posts, of course 😀 Where would we be without all the volunteers who helped us reach where we are today <3 But we do need to get over the mentality of expecting free work from people serving deen. Of course, we can WANT free work (nobody wants to dish out the money anyway), but expecting free work and then feeling entitled is just plain wrong! We want free Islamic books, free Islamic classes, free Islamic material, free-everything when it comes to working on our spirituality. And even though the reward with Allah is immense (alhamdulillah), we forget that these people have to provide for their families too. And if they are investing in a material form (books, paying for class arrangement, paying for website hosting/domain etc. ), they are doing so from their pockets. Even if they fundraise, most of the money still comes out of their own income. Income that they earned through other halal means. This not only limits the amount of work done for deen but also limits da’wah. There are people who really want to serve deen, but they are left with little to no time when their means of earning is through other means. So the resources for Muslim writers, who want to write about Islam, shrink down a great deal. We want to encourage you to write. Write about Islam. It will help you educate yourself as well. And if this tiny little step can aid you in seeking more knowledge, we’re all for it! Please email us at submissions@ayeina.com for the procedure involved. (Writing it all here will make this article too cluttery). You can first read the submission guidelines HERE. Note: Please note that even non-Muslim magazines/websites can accept posts about Islam at times. I’ve written an article on Niqab for Cosmopolitan Magazine (Middle East). Note that the article was in favor of niqab (as I’m a niqabi myself) and was paid as well. I’ve also worked with The Sun Magazine etc. who also paid well. So generally, you can sign up to the following newsletters, where you will receive different “call for submissions” around the world. It will keep you updated! And Muslim Writers Club (as linked above) also posts about online jobs for Muslims on almost a regular basis. You can also check THIS LIST for a more categorized look. P.S. If you are aware of any paying venue for Muslim writers (that isn’t mentioned here), then please comment below to help others. jazakumullah khairan katheera. As-salamu Alaykum, and jazzacki Allah khair for mentioning the Muslim Writers Club in your informative post. I have added you to our list of paying markets. Jazakallah for this list! I’ve been trying to find freelance writing jobs in the Islamic field but yes, sadly, most expect voluntary submissions. I think we Muslims need to stop thinking that anything to do with deen has to be a charitable endeavor. If that were the case, then the likes of Abu Bakr r.a. and Uthman r.a. wouldn’t have become businessmen. They could easily give up their dates, camels etc for free instead of selling them. But that doesn’t make any sense, isn’t it? We are encouraged to do business because it’s a noble job that will in turn help the poor and the economy. If you (er, not referring to the Ayeina team, of course) can’t afford to pay, then don’t make it into a guilt trip for those who expect to be paid for their services. Besides, if you get things for free, chances are you’re always take things for granted. Ahh, this has become a rant! So sorry! 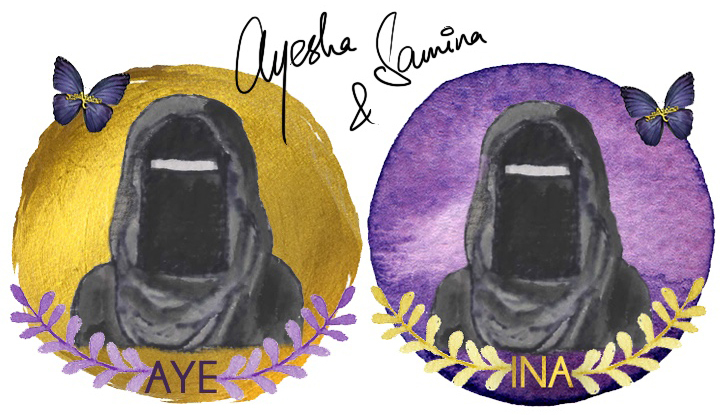 Hope Ayeina team will continue to keep up the good work! Actually, we do pay (as mentioned in the list) 😀 although a small price – considering how small we are as compared to all the big names mentioned. 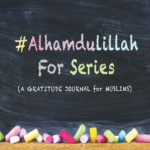 This was simply a step to encourage writers to write about all things Islam. Those who are good writers tend to choose secular writings for their income then. This way, Islamic world loses a significant amount of great writers out there. Which is a shame because words can make a huge difference! Assalaam Alaikum, Ramadan Mubarak to Ms Farooq, the Ayeina team and all the readers. Congratulations on establishing your online magazine. Jazak’Allah Khairan for the comprehensive list. It is most appreciated. Subhan’Allah! It’s so refreshing to read a post so honest and humble. May Allah Subhan’Allah wa’tala bless you for sharing your research, time and knowledge, Aameen. I’d like to formally introduce myself. I’m Sabeena, a proud Mancunian and expat. I’m a fairtrade campaigner, educator and social entrepreneur. I would be very interested to raise awareness for fairtrade, sustainability and ethical consumerism within the Muslim community online. As the only unofficial Muslim international fairtrade towns coordinator for Dubai, UAE, I have been patiently campaigning for social and trade justice for the past 8 years. I hope to drop you line Insha’Allah so we can learn more about one another’s work how we could potentially collaborate and raise awareness. I hope you don’t mind if say may Allah Subhan’Allah wa’tala shower his blessings and mercy upon us all, may our sins and transgressions be forgiven and our fasts accepted this Ramadan, Aameen. Take good care and please remember to make dua’as for those around the world who are orphans, ill, are experiencing financial, physical and emotional difficulties/challenges. May Allah Subhan’Allah wa’tala magnify our patience and bless us with compassion and time to support others in their time of need. Ms Farooq and the Ayeina team may you grow from strength to strength Aameen. Im an indian shall i post any articles about islam here in your website?????? God only knows that I don’t know the meaning of the wish “Hayyak’Allah” but Jazakkallah Hayr! Hayyak’Allah is used in terms of “may Allah maintain your life” (some people use it as a way to make dua for the prolonging of life for the other person). while jazakAllah khair means “may Allah give you a good reward”. Hope that helps. This is a very helpful list for all the passionate writers out there (like myself!). 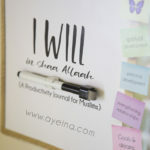 I would love to signup and write for Ayeina as soon as they start accepting. You guys are doing a great job and I look up to you in many aspects. I am a newbie in this whole world of blogging. Such posts are much appreciated by all the bloggers and writers. You are earning ajar on a daily basis by helping us out. May Allah bless you with tons of reward ameen! A day in Syria experienced in my dream…. The city once happy and prosperous came down like crashing house of cards just taking lives in the name of religion and political gains. Yesterday night I experienced being present in Syria in my dream and the dream forced me to write this that the people of Syria are courageous and may Allah give them Ajr. I saw military tanks bombing places like buildings, Mosques, and the men in covered faces attacking people in Mosques and yes I was there in mosque when attack took place and I saw people were gunned down without any reason and I too was gunned down it was a starnge experience. Just think that I have a house , a wife , One boy a girl what will happen to them after I been killed without any reason and what will be their lives after me whom they totally dependent on me. This will leads to another suicide bombers and another innocent killings. And as it is said that it is a sign of judgement day that the killer will not know why he is killing someone and the innocent will not know why he is being killed. Indeed it is horrifying dream but the Syrians are facing it physically.